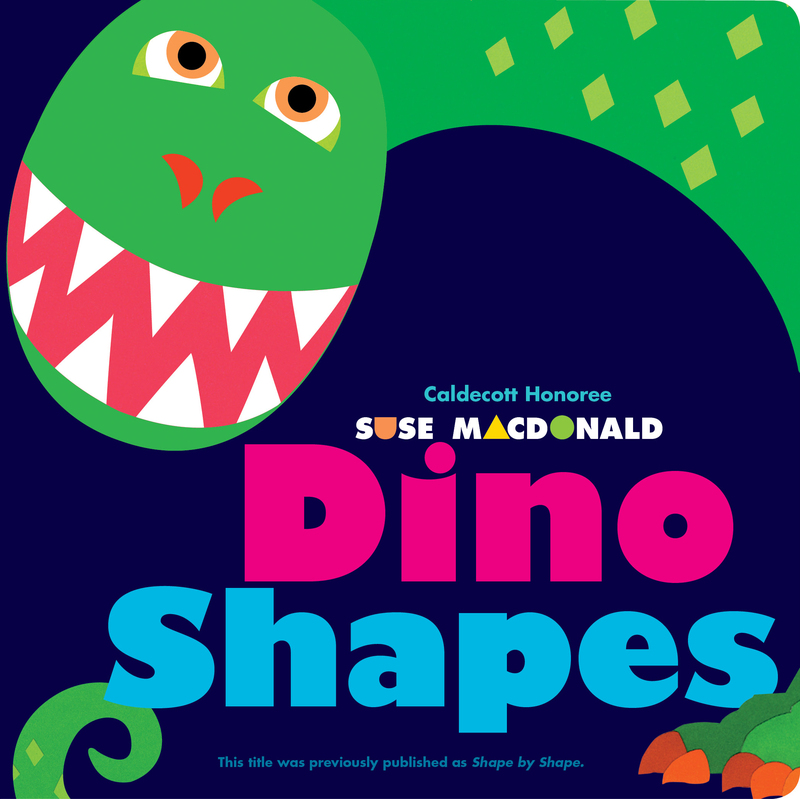 Turn the cut-out pages and see how shapes become a dinosaur in this board book from Alphabatics creator and Caldecott Honoree Suse MacDonald! I lived a long, long time ago. This concept book from Caldecott Honoree Suse MacDonald presents a thrilling geometric puzzle: as readers turn the brightly colored pages, cut-out shapes come together to reveal a creature from long ago. Circles transform into eyes, diamonds transform into scales, and by the final, fold-out spread, the collage-style art has evolved into a friendly Brachiosaurus! Originally published in a hardcover edition as Shape by Shape, this sturdy board book is perfect for the youngest dinosaur lovers.